USPA NEWS - Following the Success of Last Year's Inaugural Event, Sands Resorts Macao will stage the Second Sands Macao Fashion Week from Oct. 18 to 24, 2018, with Seven Days of exciting and innovative Fashion Programmes and Promotions. 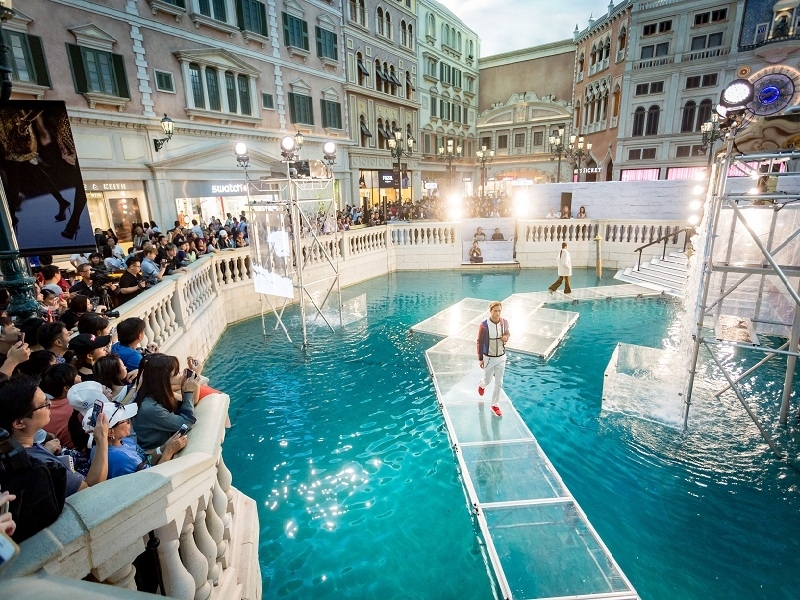 Designed to showcase the Many Leading Luxury and Lifestyle Fashion Brands across Shoppes at Four Seasons, Shoppes at Venetian, Shoppes at Parisian and Shoppes at Cotai Central, the Event will feature Shows and other Special Events aimed at both the Fashion Industry and the Public to enjoy. Following the Success of Last Year's Inaugural Event, Sands Resorts Macao will stage the Second Sands Macao Fashion Week from Oct. 18 to 24, 2018, with Seven Days of exciting and innovative Fashion Programmes and Promotions. Designed to showcase the Many Leading Luxury and Lifestyle Fashion Brands across Shoppes at Four Seasons, Shoppes at Venetian, Shoppes at Parisian and Shoppes at Cotai Central, the Event will feature Shows and other Special Events aimed at both the Fashion Industry and the Public to enjoy. Another Focal Point will be a Showcase from Talented Local Macao Designer Nuno Lopes. Lopes is the First Macao Fashion Designer to be featured in Vogue Magazine, and also to participate in London Fashion Week. He was also recognised at Fashion Asia Awards 2016 as one of 'Asia Top Young Fashion Designers' and his Designs are worn by Socialite Paris Hilton alongside Prominent Asian and International Artists. The Closing Show of Sands Macao Fashion Week 2018 will be hosted by the Macau Productivity and Technology Transfer Center (CPTTM), which has once again been invited to participate as part of Sands China Ltd.'s Ongoing Campaign to support Macao's Cultural and Creative Industries. Several Macao Fashion Brands will showcase their exciting New Collections. Last Year's Event instantly established SMFW as a Major New Event on the Industry's Global Calendar, with Six Days of Spectacular Fashion Programmes and Promotions that included Runway and Boutique Shows on a Catwalk that was specially created over the Canals of Shoppes at The Venetian, along with Fashion Parades at Shoppes at Parisian and other Special Events open to the Public. The 2017 Programme also saw Exhibitions at Shoppes at Four Seasons, revealing the Creme de la Creme of Fashion from the World's Premium Fashion Houses, and included an Exclusive VIP Gala Dinner showcasing the 2018 Collections by La Perla which was attended by around 200 International Celebrities and Fashion Elite, held at The Venetian Macao's Opulent Main Lobby. The Event also highlighted Macao's Growing Fashion Industry and shined a Spotlight on Outstanding Local Designers.